Though he stands an imposing 6 feet, 4 inches, astonishingly, there is something very unassuming about David J. Cohen’s presence. Perhaps it’s this combination, with his boyish grin and understated manner, that plays to his benefit, because for the past 20 years he’s surreptitiously, yet doggedly, investigated, conducted surveillance and performed background checks for high-profile, high-dollar criminal and civil cases. Now, Cohen, an Orthodox private investigator, offers his services to fill a niche that harkens back to his Jewish roots. Through discreet and thorough background investigation, Cohen says he can provide peace of mind to men and women and their families who enter marriages, for example, when the couple may know each other only a few weeks before a wedding ceremony — as sometimes practiced in the Orthodox Jewish community. Sara Freed, a certified relationship and divorce coach in Brooklyn, N.Y., who specializes in that community, said nearly 30 percent of first-time marriages end in divorce, and the number is even higher — about 50 percent — for second marriages. Overall, she thinks hiring a private investigator to inquire into the background of a potential partner is a good idea because it could produce more comprehensive results (due to an investigator’s ability to access more information) than a shadchan, or matchmaker, could provide. She compares it to other challenging topics she’s come across in her four years of working with couples. Raised in New York’s Monsey Orthodox community, Cohen now resides in Annapolis and serves clients all along the East Coast from the Baltimore-Washington area to Philadelphia, New Jersey and New York. 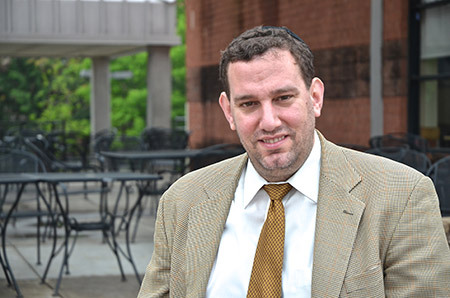 Pursuing justice and looking out for someone’s best interests is a strong vein in Cohen’s character, and he’s cultivated those innate abilities since childhood. Honing his skills has been a lifelong pursuit. Bill Kryos, a plaintiff attorney with Kryos Law Offices in Boston, hasn’t actually met Cohen face to face, but he trusts him implicitly. He’s enlisted Cohen for “whistleblower” cases, most often in publicly traded companies or in health care. This occurs when a nurse or doctor or somebody in billing is aware of fraud taking place, such as over prescribing or over-coding for a patient’s care. On a different note, Cohen also connects people together. He’s conducted relative searches, a most notable example was for a mother who had given up her daughter for adoption, and they hadn’t seen each other for more than 30 years. Cohen continues to work on criminal and civil cases. He’s also occasionally hired by suspicious husbands or wives and has conducted a handful of spouse-to-be background checks. If, for some reason, working on a pre-matrimony background check wouldn’t allow him to remain impartial, he would turn it down, he said. He also takes the Jewish law of lashon hara, or derogatory speech about another, into consideration regarding his work. He’s been studying it in more depth over the past year, and it consists of many intricate laws. Read the original in the Jewish Times. I am an attorney who has worked with David Cohen in several litigations. Mr. Cohen has assisted in obtaining evidence that is useful in both case development and case investigations. He takes a comprehensive approach to obtaining information and is professional and diligent.